You are here: Home | TREATING DOG AGGRESSION | WHAT IS BEHAVIOR MODIFICATION? There are several ways to define behavior, but one of the ways behavior can be defined is the way an animal or human reacts to a paritcular situation (or stimulus). Behavior Modification, then is the systematic approach to changing behavior. 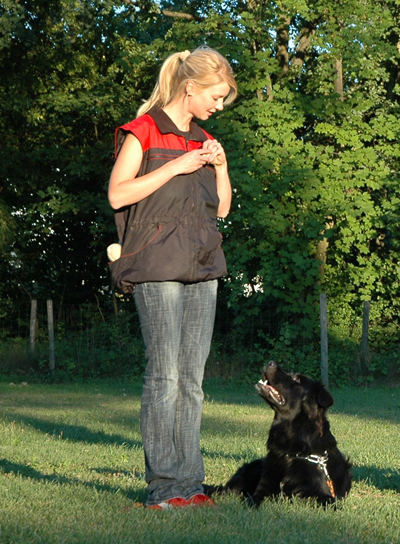 In other words, unlike dog obedience training that trains a dog to perform specific actions when requested, ideally behavior modification looks to change a dog’s reaction to situation, a person, a thing, and animal, etc.. 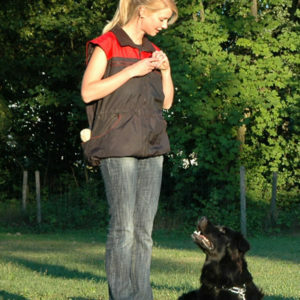 While some behavior modification makes use of obedience training techniques such as teaching a dog to sit or lie down, these taught behaviors are called on as tools in an overall program that hopes to change how the dog thinks, feels and acts. Lying down and “sit-stay” (where the dog sits when asked and stays seated until given the signal to go) may encourage self-control, deference or relaxation for example in combination with other methods. These behaviors can be helpful, but not if we are only focusing on what the dog does, and not what is going on inside, why it happens, when it happens, and what it looks like before the aggression starts. We need to set up our dog up for success. 1. People solely focus on what the dog is doing and ignore the internal process that needs to be addressed, such as anxiety components and the dog’s physical responses (i.e. the fight or flight response of the nervous system). Avoiding the triggers that cause the aggression. Foundation training allowing the behavior modification process possible. It is important for people to understand that when we try to treat dog aggression, we are looking to change more than simply what the dog does. Because sometimes it is possible to temporarily suppress aggression, but unless you treat the underlying problem, the problem can get worse long term. We are looking to change the attitude as well so that the dog is no longer anxious. To change that attitude means giving our dogs every chance to succeed. We need to understand how to read the subtle behaviors that are showing our dogs are uncomfortable, and they need to understand exactly what is expected of them – and they need to be able to do it. You can;t expect a child to read a book until they have learned the alphabet. In many cases people instinctvely start giving dogs treats in hopes to change the dog’s attitude without realizing that the dog is simply far too anxious to even enjoy the treat, let alone have a complete change of mind about the thing that is making him aggressive. So while it’s possible to change dog aggression, you can’t really just wing it and figure it as you go. You need to be taught. Caution: You can make your dog worse by pushing your dog into more than he is ready for. This is one of the most common mistakes dog owners make. Our e-book outlines the various steps to avoid this and how to set your dog up for success. In addition, a qualified professional can help you tailor the blueprint outlined in the ebook into a specialized plan that is customized for your life and your dog. Check out the K9aggression.com E-book, to understand how to treat your dog’s aggression. Our Who Can Help page can offer some guidance on the kinds of professionals that can help you, too. New Invention that Could Help Separation Anxiety?